One of the most exciting things about being a chef and working with proper seasonal produce is coming out of winter and seeing the first signs of spring. I am true to my word when I talk about sourcing and I can promise you that you’ll never, ever see a berry near my Christmas Menus! But we do live in Scotland and it means that in the depths of winter we’re a bit more limited in our fruit and veg selection. Cue excuses and outpourings of “dull” and “boring” from chefs who don’t want to stretch their imaginations into using our winter produce to its full potential. Winter calls for a wee bit fat… A juicy Galloway Beef rib eye from Jim Fairlie does the job! In winter when we’re cold and flat it’s the perfect time for warm, all-enveloping smells of humble, comfort food. I love it. This is when we get out the classics and talk about dishes that will smack you in the face with the full weight of their flavours and nostalgia. These are the dishes that time forgot, the favourites that will never grow old. I’m talking about braised beef shins, oxtails and lovely, fatty pork belly (to name but a few!). If you stop and think about it, Mother Nature gives us exactly what we require to help us through the seasonal changes. In winter its colourful root vegetables that have been sweetening under the frosted soil; wonderful buttery potatoes; melt in the mouth meats with just a little fat for braising; brain rich oily fish….. all of this will satisfy any hungry adult or child. As the seasons warm, new colours, smells and flowers attract us. The diet lightens and our happy foods come out to play (I’ll save my full musings on summer for summer!). But once again, Mother Nature is in tune with how we feel and as a cook and a novice gardener, I find this incredibly exciting to see year on year. This will all make sense to the seasonal chef… I hope! Christmas is a distant memory, January is dark and cold and just because you have made your 10 kilos of Seville orange marmalade you fancy a change! 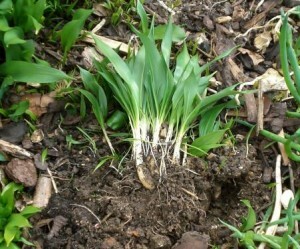 Your own shoots are coming alive and your frame of mind has stepped up a gear; welcome February and March! 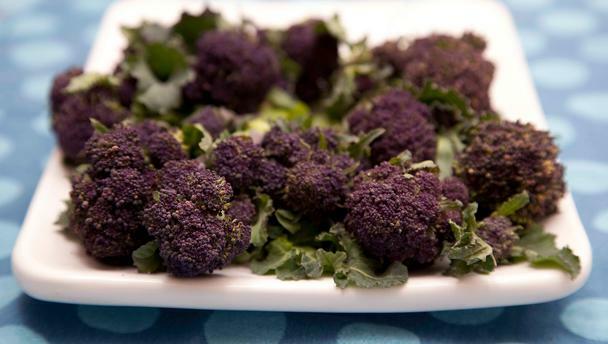 Purple Sprouting Broccoli, I love the name,the flavour and the fact that spring is here! 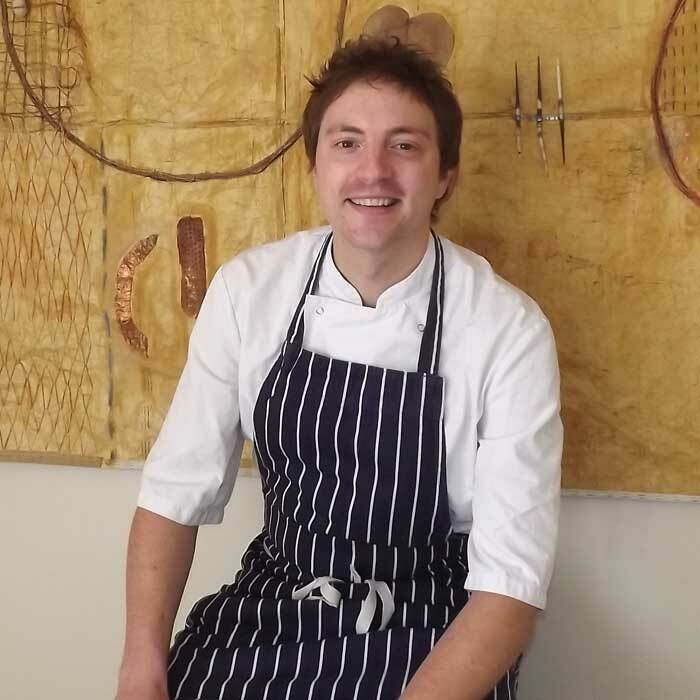 I sat down this week to write the new menu for No 1 The Bank Bistro at Parklands Hotel and right oncue, my suppliers are beginning to buzz about new season’s produce. We’ve had sweet, delicious Yorkshire rhubarb, purple sprouting broccoli (I even love the name) and as I see snow drops and crocuses flowering in the parks, my nose begins to get ready for the first waft of wild garlic. This is the fantastic process I go through each year. I look forward to seeing certain produce appearing, no matter how short the season. Its like shaking hands with a good friend. “ Hey asparagus, how have you been? How was the break? Now…what are we going to do with you?” Right now I feel spring has sprung and I’m like a kid on the first day of school holidays! Because the best part is, I know my good friend and slightly odd-ball forager will be tapping my kitchen window and holding up a basket! So.. I digress. The Bistro menu… well it’s the perfect showcase for these ingredients. I love working with the younger chefs at Parklands, getting them excited with the new season’s harvest. Once you get your head around the predictability of seasonal cooking you begin to embrace the reliable, satisfying appearance of your old pals and you’re ready for the challenge of using your experience, techniques and skills to bring the variety and showmanship you begin to crave. Here comes the BUT! BUT… young chefs and cooks, first you have to learn the classics. First you have to turn out a spotless, mouthwatering Bistro Menu that features favourite dishes, cooked to perfection. In order to learn, to move forward you must, must, must learn your craft. All chefs, young and old, should have a healthy respect for the great basics and classic dishes. So you may lie awake at night obsessing about the menu that will earn you that elusive Michelin Star, (yes I include myself there, although a little less these days!) but you better know how to make stock from scratch, an amazing pot of tattie soup and braise meat until it slices like soft butter. It sounds a bit like I’m trying to keep things in the dark old ages – that’s not the case. I love the science,the Heston’s, the art, the perfection! This is all amazing stuff and, I believe, it is progress. But progress only works when we develop the greatness we have, not when we replace it. When I eventually hang up my apron, long after seeing so many of my younger chefs move on past me to greater heights, I would like to think that they will remember me for instilling in them a love and appreciation for being a seasonal cook. For championing the clean and simple cooking that so much of our produce dearly deserves. As for those outside the industry, how do you become a seasonal cook? Well, simply, take nature by the hand, listen to your belly and occasionally stick your nose in the air. Nature’s cycle effects everything and everyone, be part of it! 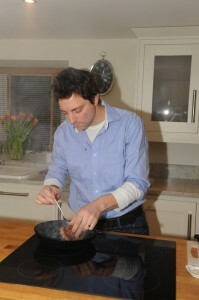 One Response to "LEARNING TO LOVE THE SEASONAL KITCHEN"
Excellent blog chef, inspiring everyone to simply cook.